Some branches of the military require that a mustache not extend beyond the corners of the mouth, be less than a half-inch in length and not conceal any part of the upper lip. Unless you’re enlisted, however, you can grow it out a bit more and adhere to your own regulations. 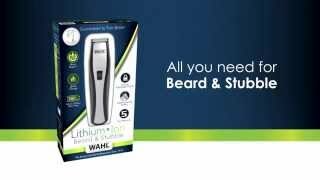 Use your Wahl® trimmer to closely trim all facial hair on your cheeks, chin, and neck, leaving the mustache intact. Use your trimmer to remove any mustache whiskers that extend beyond the corners of your mouth (or a quarter of an inch beyond, depending on which branch of service you prefer). With your trimmer, trim the bottom of the mustache until you have a strong lower edge that is flush with the uppermost border of your upper lip. Use the trimmer guide to trim all whiskers to a uniform length of half an inch or less.